You can always learn from your own mistakes, but ideally you can learn from someone else's mistakes before you make your own, and you can now do just that in AbracaDAMMIT! 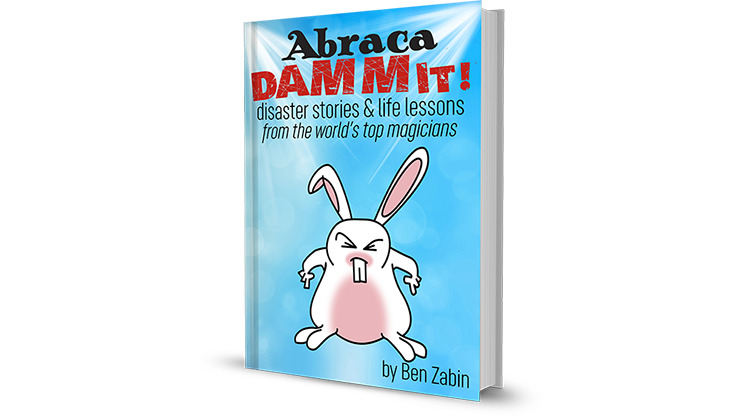 Disaster Stories & Life Lessons From the World's Top Magicians. Packed full of interviews, anecdotes, and advice for performers, this volume contains visits with 18 top performers retelling their mistakes and regrets from their careers in magic. Though not a magic text in the normal definition, you will still be amazed and entertained by the information herein. So before you plan your next show, take a page from a top performer's experience first. Order your copy of AbracaDAMMIT! today!